Wendy Bartlett, has enjoyed an incredible July. Last week, she received the MBE she was awarded in the Queen’s New Year’s Honours List for services to the hospitality industry at Windsor Castle from HRH The Princess Royal and earlier in the month, she was also singled out for one of the hospitality industry’s ‘Oscars’, a Catey Award, for Foodservice Caterer of the Year at a glittering ceremony at Park Lane’s Grosvenor Hotel. Bartlett is the Chief Executive and owner of Egham-based catering company, Bartlett Mitchell, and event catering business, Inn or Out Events. She first launched Bartlett Mitchell with her business partner Ian Mitchell in 2000 and it has grown into a company with a turnover predicted to hit £35m this year, with 750 employees operating at 85 sites across London and the South East, the South West and Glasgow. 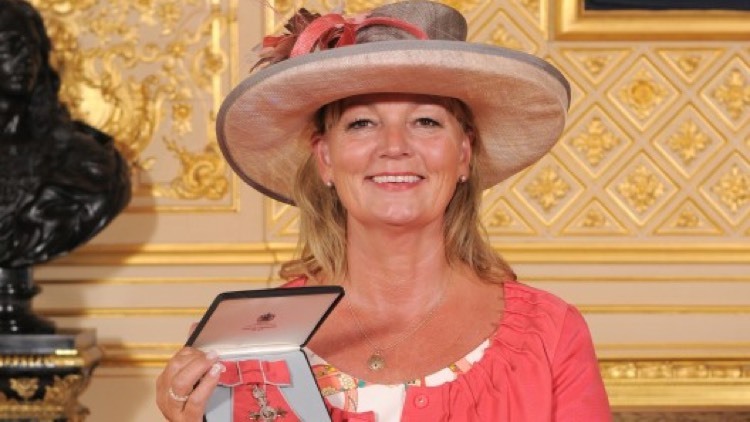 Bartlett has been recognised in both awards for her business success but even more importantly for the part she plays in the wider industry supporting a range of employment and business initiatives, being a Board member of various industry organisations and charities, and pushing sustainability in her organisation. For the past two years, Bartlett Mitchell, has also been awarded Caterer of the Year by the Sustainable Restaurant Association. In addition to her role at Bartlett Mitchell, Bartlett is on the Board of the British Hospitality Association, the Advisory Board of Royal Holloway University, has been inducted into the Women 1st Top 100 Women in Hospitality, is a Trustee of award-winning My Daddy is a Soldier adventures charity, and was named by the SRA (Sustainable Restaurant Association) as one of the Top 10 Most Powerful Sustainable People.